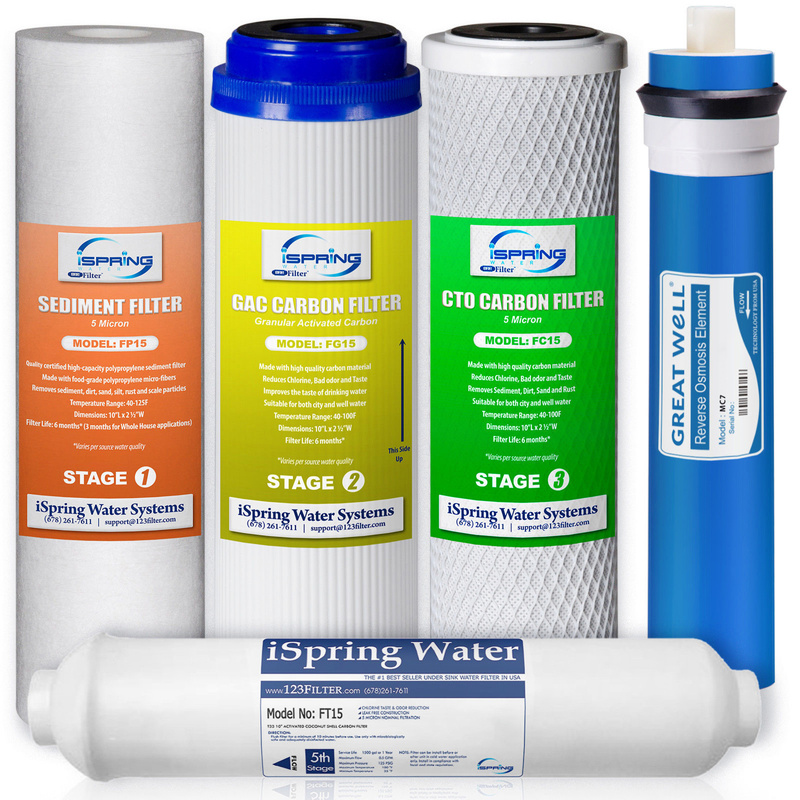 A complete set of replacement filters and membrane (75GPD) for 5-stage reverse osmosis systems, individually wrapped for freshness. 1 piece of 5 Micron Sediment Filter: With five micron rating, It is effective for removing dirt, rust and sand particles. 1 piece of Granular Activated Carbon (GAC) Filter: Adsorb chlorine, halide, organic contaminants, odors, and other impurities that contribute to bad taste and odor. 1 piece of 5 Micron CTO Carbon Filter: Further removing any remaining chlorine and ordors. 1 piece of 75 GPD Reverse Osmosis Membrane: A thin film composite (TFC) high quality membrane that processes 75 gallons per day. It rejects a wide spectrum of impurities down to .0001 micron. 1 piece of Post Carbon Inline filter: This carbon post filter removes objectionable tastes and odors to enhance the quality of your drinking water. iSpring 75GPD Reverse Osmosis Membrane Replacement Cartridge MC7- 1.8" x 12"